Majors Home Improvement installs durable entry doors for homeowners in Pensacola, Florida, and all surrounding communities. The entry door to your home is a focal point of your residence, and you want a door that will enhance your home’s curb appeal, energy efficiency, functionality, and comfort. 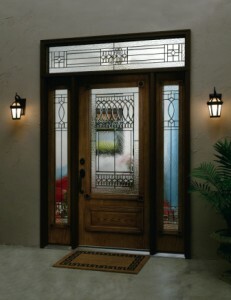 That’s exactly what you’ll receive with Majors Select™ Fiberglass Entry Doors. Our front doors are made with surfaces that resemble gorgeous wood grain textures, like mahogany or oak, and include a solid polyurethane core, which provides many times the insulation value of wood. This means you can have all the aesthetic benefits of a wood door, without any of the downsides. Additionally, if you’ve been thinking about replacing the windows in your house as well, we can perform that installation alongside your entry door replacement. Homeowners are often looking for these procedures to be completed simultaneously, and we are more than happy to oblige. By replacing both the windows and entry doors at your residence, your home will be the envy of the neighborhood, not to mention the fact that you’ll see massive improvements in your home’s energy efficiency. Contact Majors Home Improvement today to learn more about our entry doors for homeowners in Pensacola, FL, and the surrounding communities. We’ll be happy to answer your questions and set up a complimentary consultation at your home at your convenience. If you’re ready to improve the comfort and functionality of your home, Let Majors Do It!